Parallel to the infrastructure improvements being completed as part of the Dorchester Avenue Project—the City of Boston and Mass DOT’s $15.6 million streetscape, pedestrian, and traffic upgrade to the 5-mile length of Dorchester Avenue—HBI has been working on a “Dot. Ave. Project” of its own through its Historic Neighborhood Centers program work in Fields Corner. The recent completion of the Golden Building and Lenox Building façade projects on Dot. 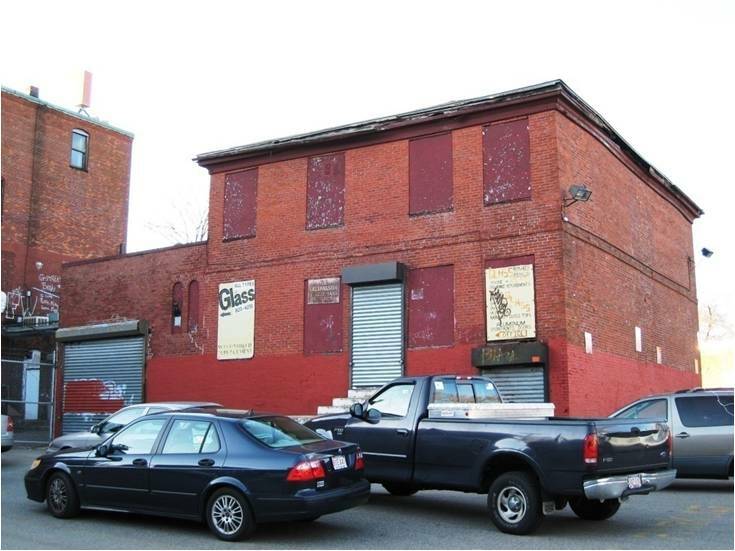 Ave. along with the potential rehab of the Macedonian Building just north of Charles Street and another handsome but highly altered building at Greenwich St. will all add up to a significant physical—and economic—improvement of the district. 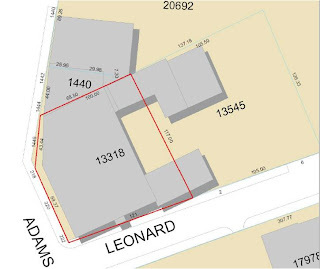 But it is a complex of important historic buildings right at the busy intersection of Dorchester Ave. and Adams St. whose redevelopment HBI and many in Fields Corner agree would have the most impact on the neighborhood. Known locally as the O’Hearn Storage Building, and currently home to the U.S. Post office and a few other small businesses on its ground floor, this 3-building complex traces its history back to the area’s early development as a commercial district, and to the Field family, who lent their name to the neighborhood. In fact, HBI has confirmed that the ca. 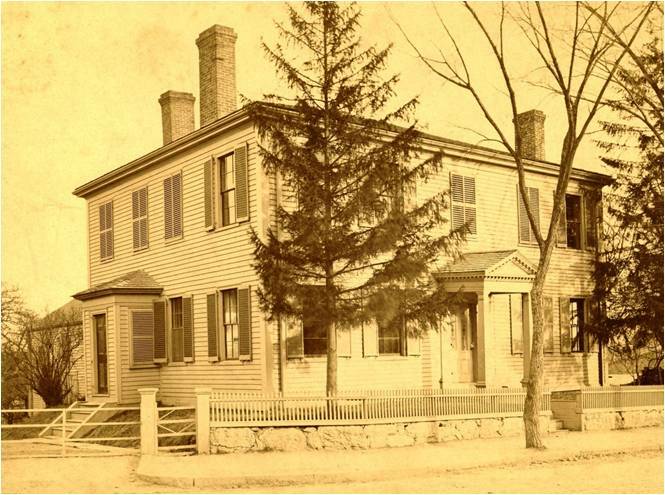 1795 house built by Isaac Newcomb Field still survives as part of this complex, although moved back on the lot by later generations of the Field family in the 1880s, to accommodate the 2- and 3-story commercial buildings they built along Dorchester Avenue. Although obscured now by some haphazard additions that connect it to the rear of the street-facing buildings, the house is thought to be the oldest surviving building in the district. 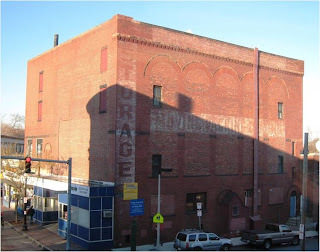 HBI has thoroughly studied the buildings and has determined, among other things, that the Federal Period Field House preserves its original layout and many of its interior architectural details, and that the Field Building was designed by noted Dorchester architect Edwin J. Lewis, Jr., and housed the Dorchester Music Hall on its third floor. After the Field family sold the buildings in the 1890s, they were all converted to storage uses. In the early 20th century, the O’Hearn family acquired the buildings, modifying and expanding them over time, inserting new floors in the music hall and other spaces to accommodate more and more rental storage cubicles. By the time the current owner purchased the property in the early 1980s, the storage business had closed, and only the ground floor commercial spaces and a few second floor offices remained occupied. The upper floors and rear sections of the building—including the Field House—have remained largely vacant since the storage operations ceased. Today, the bricked over windows along Dorchester Ave. and Leonard Street create a kind of physical and economic dead zone in the heart of the district. 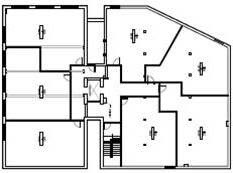 Over the past two years, HBI has worked with the building owner, who allowed us to bring architects through the buildings to carefully measure them in order to create floor plans and elevations for the entire complex. 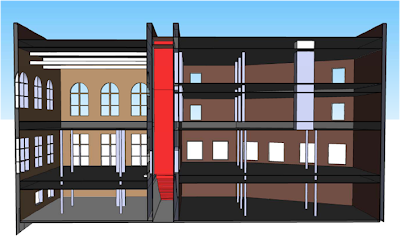 After studying potential uses for the space, HBI determined that residential units would likely be the most economically viable use for the upper floors. 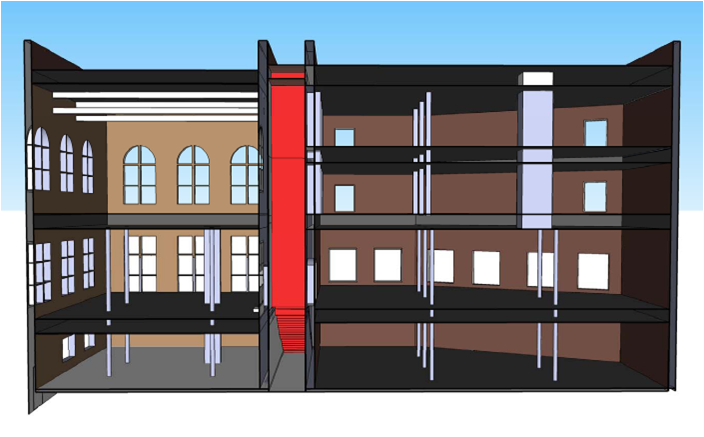 Removing the inserted floors in the former Music Hall portion of the building would allow for the creation of striking duplex units that would be flooded with light after the tall, arch-topped windows that were bricked over long ago, are opened up and restored, bringing new life both to the buildings and to the streetscape. HBI is continuing its dialogue with the building’s owner, and we hope to work with him to develop a project that will both preserve Fields Corner’s most historically significant and underused buildings and serve as a major catalyst for the continued revitalization of the neighborhood.